Beginning to Draw: The Foundation of Art Workshop is a 6 hour training courses presented in three parts: first is your Basic Training; second, is Plasticity: Form & Structure (this is where you learn to compose and draw single items and progress to a multi-object still life); third, is your Introduction to Portrait Drawing. Also included is the Beginning to Draw Text/Workbook Ebook AND my Foundations in Drawing Ebook course to take you to the next level of your art career. 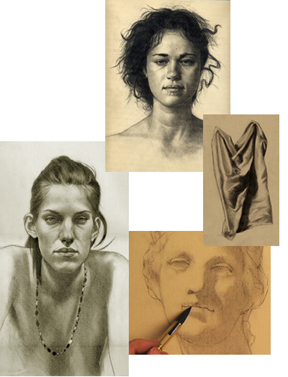 Beginning to Draw is a full semester of study FOR ONLY $67.00! Get this Three Part - six hours Instant Download plus the accompanying Text and Exercise Ebook and the BONUS Foundations in Drawing Ebook ON SALE FOR ONLY $67! Get both Beginning to Draw and Mastering Portrait Drawing: the frontal pose workshops, plus all of the bonuses, for ONLY $77! for the Instant Video Downloads and SAVE BIG! There are few greater pleasures in life than learning how to draw. 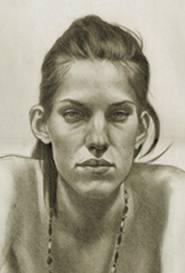 You may believe that portrait drawing is only for the gifted artist but this is far from true. Anyone can learn to draw! Start right at the very beginning. The first part of my six hour Beginning to Draw Workshop trains you how to see and accurately transcribe shape. Shape is the foundation of drawing and painting. Every stroke a master artist applies directly corresponds to a seen shape. Whether that shape is the foliage of a tree in landscape painting or the shape of a lock of hair the key is being able to see and render a specific shape. Not to put too fine a point on it, but this is the difference between drawing and painting masterfully or forever struggling. 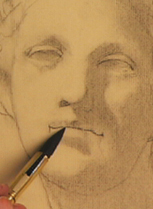 My Beginning to Draw instant download workshop gets you started immediately and takes you step-by-step right up to the fundamentals of portrait drawing. And then you're ready for Mastering Portrait Drawing 1: the frontal pose instant download workshop. 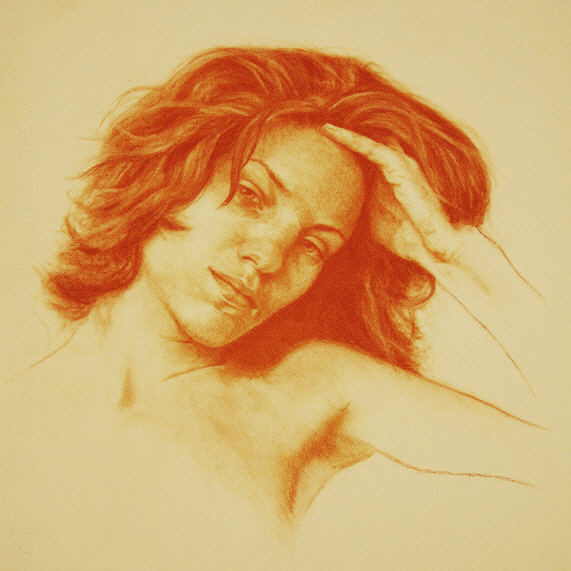 This 4 hour intensive workshop is actually two workshops in one: first, is the classical tried-and-true, step-by-step approach to portrait drawing -- no gimmicks, no shortcuts, just solid skill development. And succinctly incorporated into your training is the anatomy of the head. Understanding the structure of what you are looking at is critically important to knowing how to draw it. The Beginning to Draw Instant Download Workshop is regularly $54 for six hours of solid training; Mastering Portrait Drawing 1: the frontal pose is regularly $54 for four hours of intensive training. 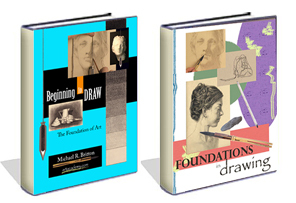 BUT get both workshops for ONLY $77 - your entire foundational drawing education -- with the Foundation in Drawing Suite Instant Video Download. And SAVE! Ideal for PC's, Mac's, iPads, etc. Your satisfaction is my top priority. If, for any reason, you are not 100% satisfied with your workshop I will refund the purchase price hassle free!